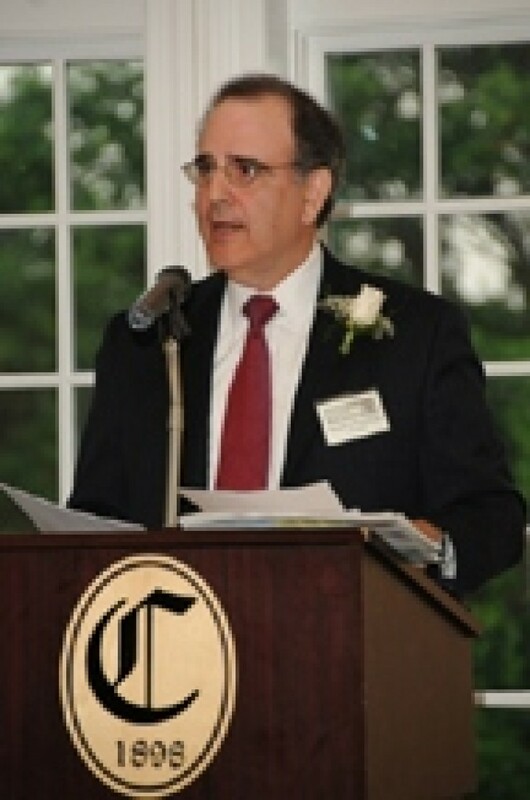 Thomas J. Denitzio, Jr., Co-Chair of the Real Estate Department at Greenbaum, Rowe, Smith & Davis LLP, was installed as the 2010 – 2011 President of the Middlesex County Bar Association on May 25, 2010 at the Colonia Country Club. Mr. Denitzio was most recently the Association’s President-Elect. Mr. Denitzio is also Chair of the firm’s Banking, Business Financing & Creditors’ Rights Practice Group and a member of the Green Building Practice Group. His practice focuses on the sale, acquisition, leasing and mortgage financing of commercial and industrial real estate, real estate-related litigation, such as real estate tax appeals, mortgage foreclosures and workouts, tax sale certificate foreclosures, quiet title actions and condemnation valuation hearings. Mr. Denitzio is listed in The Best Lawyers in America in the Real Estate category and Chambers USA - America's Leading Lawyers for Business. He is a member of the Income Property Committee of the Mortgage Bankers Association of New Jersey and the American and New Jersey State Bar Associations. Mr. Denitzio is a graduate of Lafayette College and received his law degree from Cornell University Law School. He resides with his family in Martinsville, NJ.